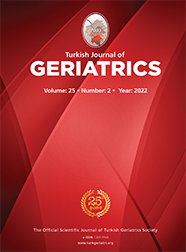 Fırat Üniversitesi Tıp Fakültesi, Anesteziyoloji ve Reanimasyon Anabilim Dalı ELAZIĞ Introduction: To retrospectively evaluate the correlation between predicted preoperative intensive care unit need and postoperative ICU bed need. Materials and Method: Adult patients who underwent surgical intervention (except for cardiovascular and intracranial surgeries) between January 2010 and January 2012, and were predicted to need intensive care unit during preoperative evaluation, were included in the study. Patients were divided into those who required intensive care unit support (Group I) and those who did not require intensive care unit support (Group II) in the postoperative period. Demographic data, properties of anesthesia, surgery and mortality were recorded. Results: Data of 372 patients were reviewed. Of these patients, 195 were in Group I and 177 were in Group II. The number of drugs used, severity of the accompanying disease, operation duration, complexity, emergency status and re-operation, transfusion need, negative events occurring in the perioperative period and mortality were all higher in Group I, while age and regional anesthesia application were higher in Group II. Respiratory and neurological problems, renal disease and active infection rates were also higher in Group I.